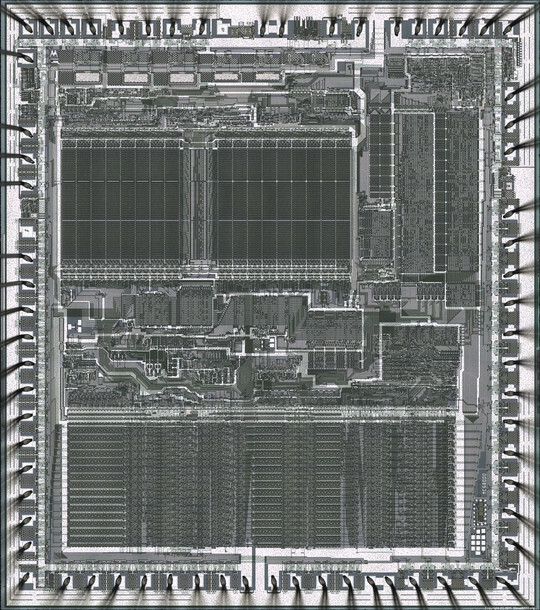 Motorola MC68000 processor die, imaged by the 6502-simulating-from-base-principles Visual 6502 project. They've also got an RCA 1802 CPU, as used in various spacecraft. 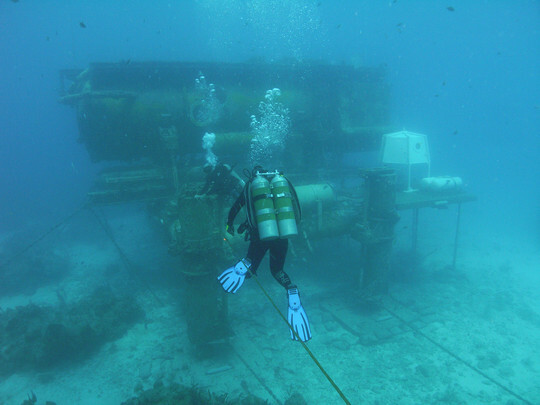 NOAA Aquarius Reef Base - underwater habitat used by NASA in a glorious series of 1960s-style human retro-experiments. Sadly, the thing's probably just lost its NOAA funding. Cool Things to Find - excellent parody of a you-must-have-seen-it safety video, this time with - wait, what? In other news, Curiosity's one-for-the-history-books statement was, erm, referring to the entire mission. Any Martians will have to wait a little while. 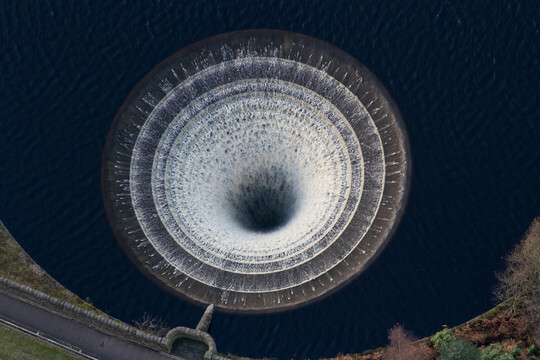 Ladybower reservoir overflow - quite a few years ago, I was on a rail-replacement bus meandering its way from Manchester across a rainy Peak District. I basically had no idea where we were, when the bus went straight past a rather large lake - with a rather large hole in it. It took me a while to find out what the hell I'd seen. Blindsight - deliciously hard science, describing the discovery of a less-than-inscrutable alien presence. Whole book online, Creative Commons licence! Mr. Peter Watts has other books online, a donation jar, and the scars from the outlandishly sci-fi-style necrotising fasciitis (WARNING: GORY). Short stories from Greg Egan - razor-sharp fictional physics from Australia-land. The interstellar, no-faster-than-light human civilisation in the you'll have-to-pay-for-it Schild's Ladder was fantastic. And all too plausible. There's some guy pretending to be you being interviewed on Rock Paper Shotgun. Disgraceful! He does know a lot about you though; I think you've got a stalker. Thanks for the Greg Egan links, some interesting stuff there. WHAT IS HERE IS DANGEROUS AND REPULSIVE TO US. THIS MESSAGE IS A WARNING ABOUT DANGER. SENDING THIS MESSAGE WAS IMPORTANT TO US. WE CONSIDERED OURSELVES TO BE A POWERFUL CULTURE.